Why are comments moderated? 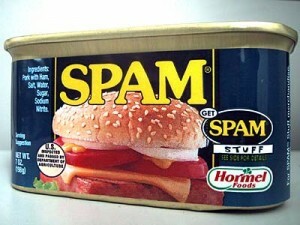 Notes on blog spam. I typically get about 30 comments a day on my blog postings, which would be great except for the fact that the vast majority of those comments are spam. These aren’t the “buy Viagra” type of spam you find in your email, but are attempts to look like real comments. See, behind the comment is an internal link and email address, and adding links that point to the spammer’s web site artificially increases the site’s search engine ranking. This type of spam originally appeared in Internet guestbooks, where spammers repeatedly filled a guestbook with links to their own site and no relevant comment, to increase search engine rankings. If an actual comment is given it is often just “cool page”, “nice website”, or keywords of the spammed link. Why thank you. I always strive to solve properly asap. So what part has you uncertain? Is it that I visited the 8Eightyeight lounge, or that I drank tequila? Really, both happened. Nice day to you as well. Yeah, we cigar bloggers are real chick magnets. Wait . . . you are a girl, aren’t you? Crazy riveting understanding, if you ask me. Now see, my ego is big enough to think that might be a real comment, except that the same comment came from five different email addresses. Still, it could be that five people all concluded that I presented the best information. It could happen. Oh, wait, that was a real comment. Cool page! Thanks for the shout out! Now you’re just screwing with me. No. You’re not my type!